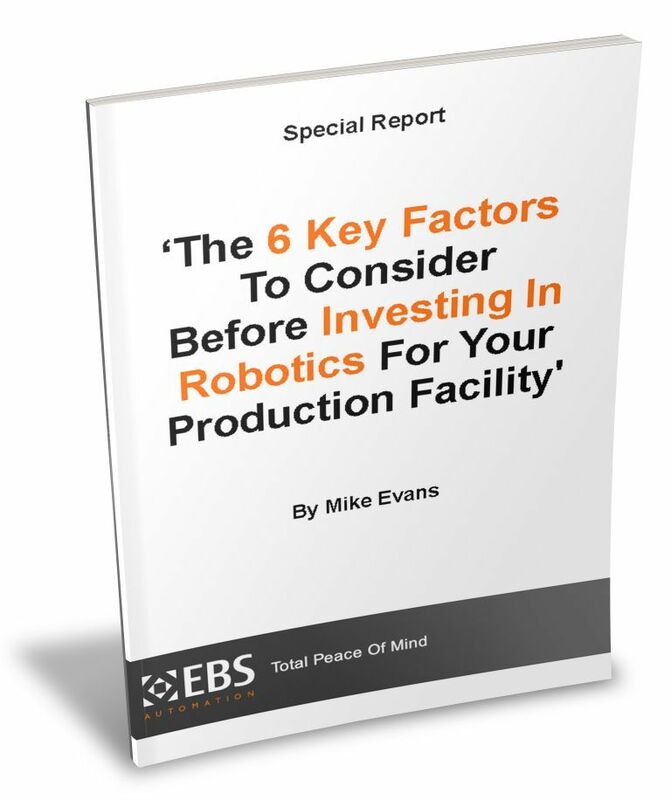 Thinking about investing in automation and robotics to improve quality and production efficiency? This 12-page guide will help you understand the six most important factors to consider before deciding whether to invest or not. In 1993 Mike founded EBS which has grown to become a successful specialist engineering company that designs and manufactures specialist production machinery, plus automated and robotic systems for Life Sciences, Automotive, Pharmaceutical and wider Industrial sectors in the United Kingdom, Spain, Poland, Czech Republic, Hungary, Romania, Turkey, Morocco and Russia. Mike is a Board Member and Director of the Welsh Automotive Forum, Chair of the Mechanical & Electrical Sector Strategy Group U.K.SEMTA, and sits on the Automotive Academy Curriculum Steering Group, and is a Member of SEMTA regional council, and a Member of EEF regional advisory board. Find out if implementing Robotics is the right move for your business. Complete the form to get instant access to this free guide. When improving product quality and consistency - should you go for full or semi-automation? EBS Automation's roots were forged in the Automotive sector in 1993, and many of our original customers are still with us today. We trust this bares testament to our long term partnership approach based on our commitment to provide special purpose machines and automation systems of excellent quality, efficiency and reliability. A professional project management system is used that leads to projects being delivered on time and within budget.